So yeah, I basically know next to nothing about the history of reggae and I've been on a book reading tip lately. Anyone got a few recommended books? The Rough Guide To Reggae 3rd edition - Steve Barrow & Peter Dalton. this in combination with soul seek is a great educational experience! The Rough Guide is crucial, but overwhelming. Take notes (seriously). But avoid Norman Stolzoff's "Wake The Town and Tell The People" at all costs. Two books come to mind. 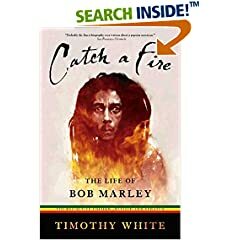 This is probably the most comprehensive look at the history of reggae, written in an engaging style, knowledge dropped on everything up to the nineties. This is an incredible book. SO much Jamaican history and really good at setting the scene in the 60s and 70s. I have only a slight problem with the chapter "Uptown Ragga"
As if the indication of a permanently parked V150 armoured vehicle on the corner. isnt as real as it gets. Dont let the facade of one house on the land fool you there's probably close to a hundred people living on that property with no running water or functioning facilities. I remember some more crap the dude wrote saying since Lexxxus travelled with a dance troupe and was formally educated he's "uptown"
Co-sign on Bass Culture by Lloyd Bradley but keep in mind that it's called "This is Reggae Music" in the U.S. I still think this is a great book, packed with loads of information and perspectives from those who were there, including interviews with various record label heads, producers, and engineers. I had posted something here when I read it and someone here said to get the one by David Katz. I have yet to read it but will search for it in a few minutes. The "Reggae Routes" book listed above is okay, but it is fairly week after reading "Bass Culture" and the Rough Guide to Reggae one. I would recommend the Roude Guide too, and as someone said, take notes. 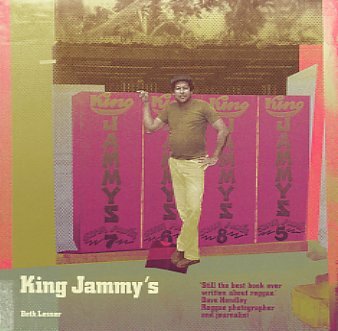 It is very in-depth with the paths of how the various forms of music in Jamaica would lead to reggae, and then it goes into all of the offshoots, up through the mid-90's or so (not sure if they've updated the Rough Guide recently). You might say that his "Hermeneutics and Synchretism" dubplate is soundin' well scratchy from overuse. He managed to take a scene as vibrant, bawdy and exciting as dancehall and make it painfully boring. I like Reggae Bloodlines by Stephen Davis and Peter Simon. First printed in '77, the edition I have is from '92. Not sure if it's in print nowadays. Lots of great photos. These books are both garbage. This is simply the American edition of Bass Culture and should be avoided. Very tired take by a generally uninformed dude averaging probably two typos per page. And he makes schitt up a la Nick Sylvester. An insult to the music. From your response, I believe you were the one who said to find David Ritz's book instead. What do you feel was "tired" about the book? I myself learned a lot from it, yet knew that it was only a small part of the history of the music and the records. What drew me into the book at first was the review, which had said this guy was able to have access to a number of people who had never told their stories. Or let me ask this as I believe I didn't ask this the first time. What does David Katz's book have that Lloyd Bradley's does not? I'm sold and will be getting the book very soon, but what made you say "now this is an excellent read"? I would be interested to hear what your beef with Timothy White's book is and what in particular you dislike about Bradley's "take". Awesome no nonsense guide to collecting Skinhead reggae 7"'s mostly. of itself, but the best thing about this one is the Discography Section. The Trojan book also comes with a killer CD! I don't know of any books about reggae by David Ritz. Avoid david Ritz' writing like the plague. Furthermore, his sources are usually pretty wobbly; comparing two different accounts of the same thing doesn't seem to have occured to him yet. Last and worst: he can't write. His prose is stiff and unreadable. I heart Bass Culture. shoot me. I've only read his Marvin and Ray books, both of which I liked, in part because they were acknowledged personal accounts. I can't imagine a book about reggae by him--or anyone else not immersed in the music--being any good. Respectfully disagree. 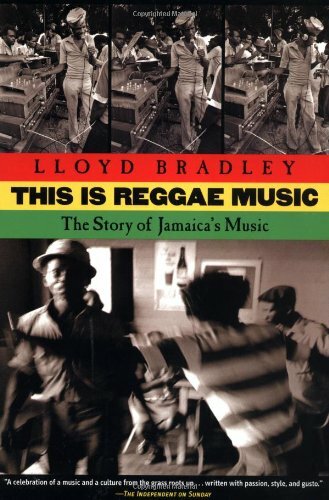 During the 1980's, Lloyd Bradley, as well as being a DJ on London's legendary reggae pirate, Dread Broadcasting Corporation, was one of the few writers in the mainstream UK music press whose work on reggae (and black music generally) was actually worth reading. 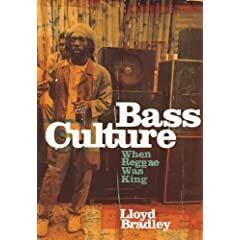 "Bass Culture"/"This Is Reggae Music" does bewilderingly overlook a few key players, though, and considering when it was written, could have given more coverage to the digital era than it does. It's a good few years since I read it, and I recall thinking it wasn't as comprehensive as I expected it to be. Perhaps understandably, there's quite a bit on reggae's development in the UK, which may not be of interest to everyone, but I thought it was an entertaining read. That may all be true, which I suppose would make him a Christgau-like figure: somebody who was among the first members of the mainstream white music press to recognize the value of an emergent Black music but whose writing on it still isn't very good. 4. Occasionally verges on groupiedom. See: "I only met Marley once, but let me tell you about it..."
And before some little dude challenges me to point out examples of the above, I'm sorry, but I read the book half a decade ago and don't keep a reference copy at my desk--you will all have to do your own homework. Basically, it's beyond me why anyone would continue to promote this book when there are numerous better written, more accurate and more comprehensive books out there on the subject; there is simply nothing uniquely worthwhile to be gotten from it. I've heard real good things about this. You know, sometimes it's just a matter of what's available for 5 bucks at Half Price Books. Never a valid excuse for bigging up bad books--at least not when you've got internet access and can get a used copy of just about anything for 5 bucks of half.com.